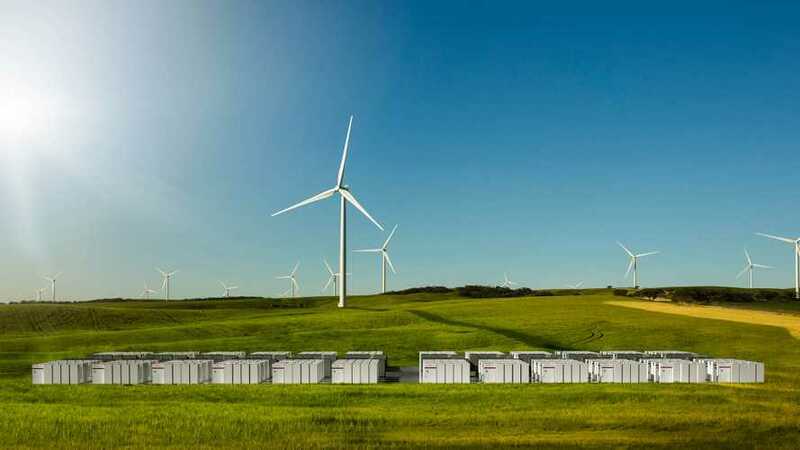 Tesla won the world's largest energy storage order in Australia so the 100 MW-scale, 100 days challenge in now underway. The California company will deliver 100 MW/129 MWh system by December 2017 in South Australia. The system will be combined with Neoen’s Hornsdale Wind Farm near Jamestown. Well, it's a lot of batteries - like the equivalent of 1,300 Model S (or more). The Tesla ESS will help to produce more energy from renewables as well as will help solve power shortages, reduce intermittencies, and manage summertime peak load to improve the reliability of South Australia's electrical infrastructure. Elon Musk stated that the Australian project will have three times the output of the next biggest battery installation in the world. "Last September, a 50-year storm damaged critical infrastructure in the state of South Australia, causing a state-wide blackout and leaving 1.7 million residents without electricity. Further blackouts occurred in the heat of the Australian summer in early 2017. In response, the South Australian Government as a leader in renewable energy, looked for a sustainable solution to ensure energy security for all residents, now and into the future, calling for expressions of interest to deploy grid-scale energy storage options with at least 100 megawatts (MW) of capacity. Tesla is proud to be part of South Australia’s renewable energy future, and we expect this project will provide a model for future deployments around the world that will help significantly accelerate the adoption of sustainable energy."